Reply, 'Mr William Hogg'. 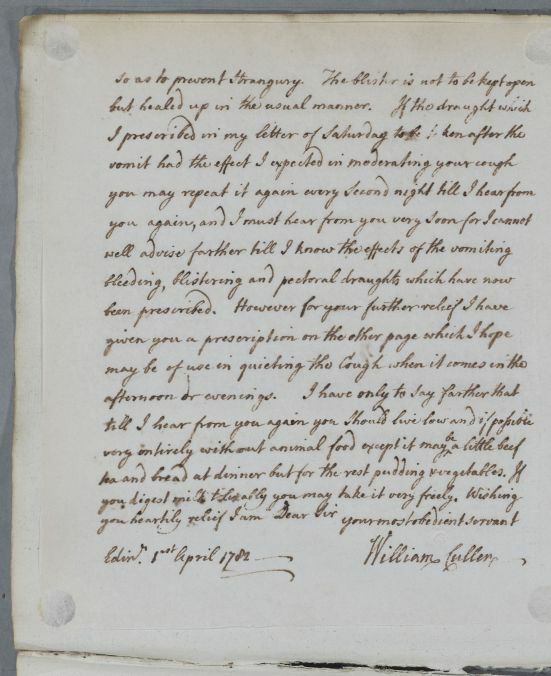 Cullen says that from Hogg's letter 'I understand your complaints as well as if the account had been given me by a person of the profession', but hopes that the advice he gives will put the patient 'in a condition of coming to see me here'. He recommends bleeding and plastering, and adds a recipe for medicine to remedy the patient's cough. Summary Reply, 'Mr William Hogg'. 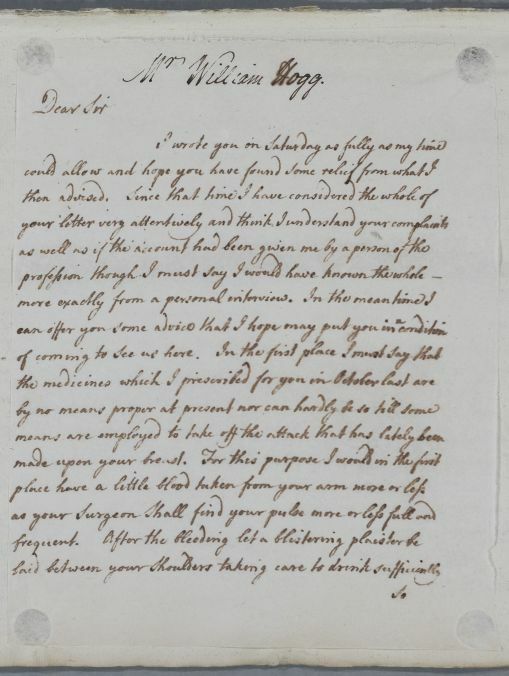 Cullen says that from Hogg's letter 'I understand your complaints as well as if the account had been given me by a person of the profession', but hopes that the advice he gives will put the patient 'in a condition of coming to see me here'. He recommends bleeding and plastering, and adds a recipe for medicine to remedy the patient's cough. 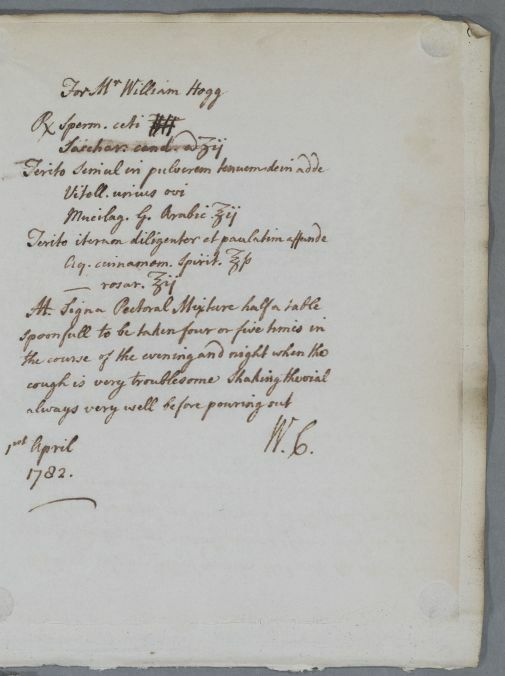 Case of William Hogg who has ulcers and then a severe cough.